Gum disease is an infection of the gums surrounding your teeth and one of the top reasons for tooth loss in adults mainly because you may not even know you have it. It is important to visit your dentist regularly so the professionals can check for signs of the disease and help you to prevent it. Gum disease is caused by a build-up of plaque which is will CONTINUALLY be removed through brushing, flossing, and regular dental check-ups. If plaque is not removed properly it will continue to build up and create toxins that can damage the gums. Are your gums bleeding while you brush? Read this article and check if you need to book a dentist appointment as soon as possible. Gingivitis – is the early stage of gum disease when gums become red, swollen, and bleed easily. At this stage, the disease is treatable and can usually be eliminated by proper daily brushing and flossing. 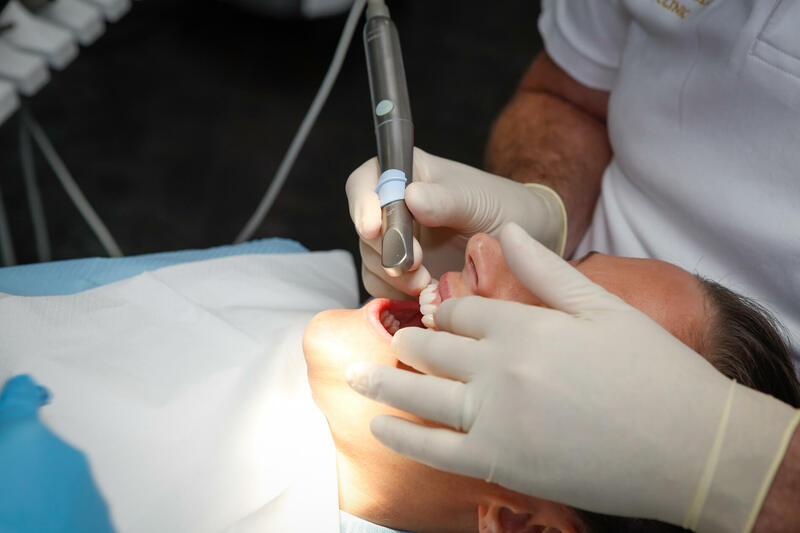 Periodontitis – If left untreated, gingivitis will advance into periodontitis, and the gums and bone that support the teeth will become seriously and irreversibly damaged. Gums severely infected with periodontitis can cause teeth to become loose and fall out. Dental implants if problems are severe enough to cause tooth loss.